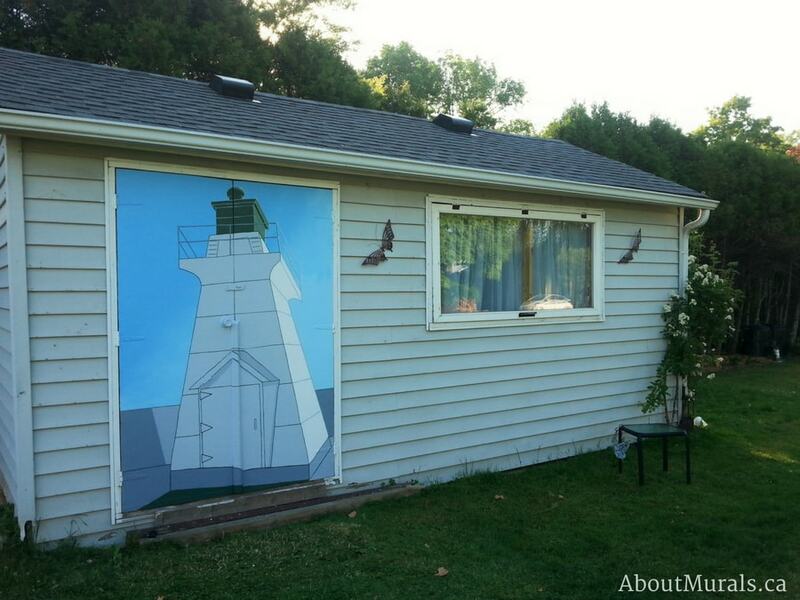 Even though this lighthouse mural was painted in Port Dover, Ontario, I also sell wallpaper murals that ship for FREE in Canada and the USA. They are so easy to hang and totally removable when you’re ready to redecorate. 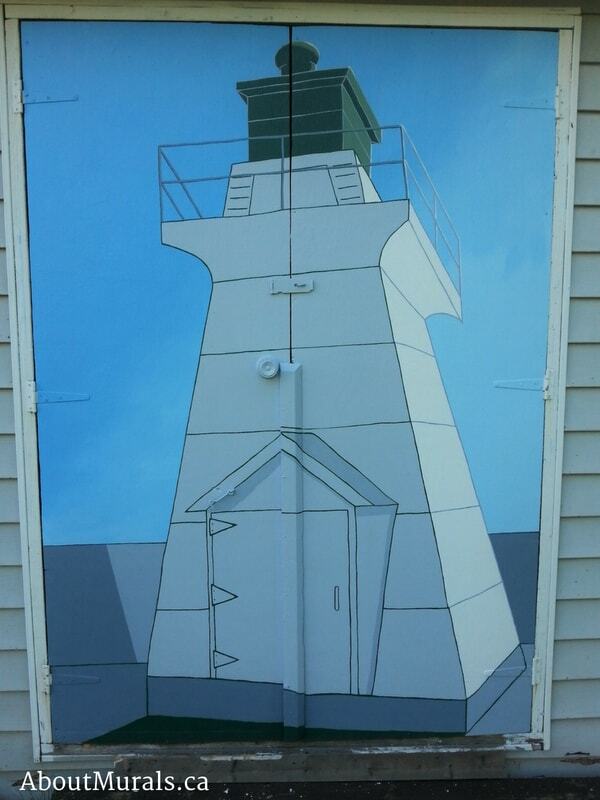 Are you thinking of adding a lighthouse mural to your space? Here are some photos of a mural I painted to give you some ideas. Debbie loved visiting Port Dover when she was a kid. The lighthouse always reminded her of fun childhood memories. After retiring, she moved 5 minutes away from the Port Dover beach. 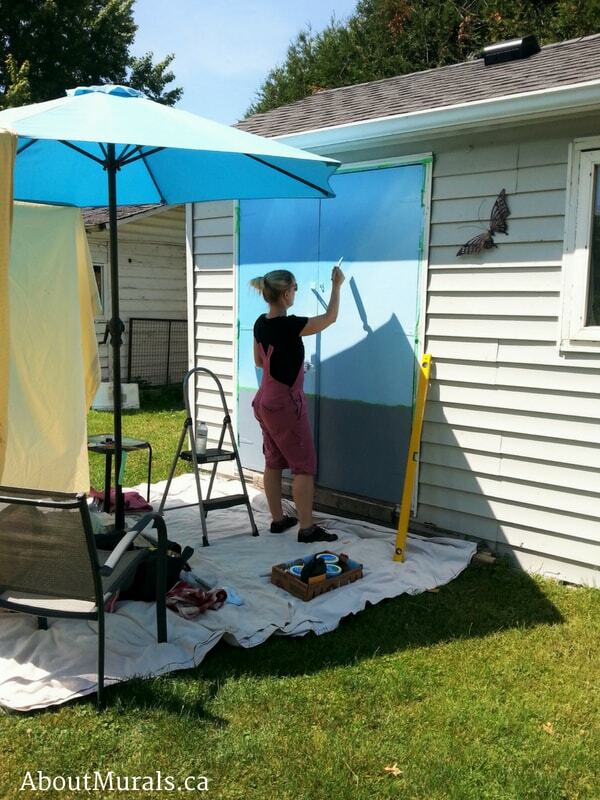 She wanted the lighthouse closer, so planned for a lighthouse mural on a shed in her backyard. I painted this mural using non-fading (UV protective) outdoor latex paint. I only use non-toxic acrylic or no-VOC latex paint so it’s safe for your family to breathe the air when I’m done, which is especially important for indoor projects. The doors to the shed were already painted white before I came, so I added the blue and grey background before painting the mural. If you’re not the DIY type, I do offer latex painting services. Still thinking of a lighthouse mural and like my style? Let’s work together!